“She coils up like a caterpillar due to her pain. She keeps crying and says that God is bad for putting her through this. When she asks us why it happened to her. She never hurt anyone, we don’t know what to do except hug and console her.” says her mother. 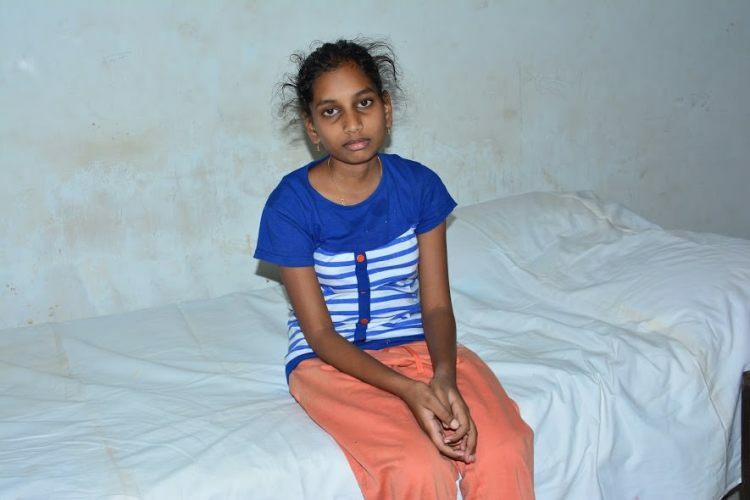 At only 13, Varsha’s life is full of agony. Following a brain surgery 4-years ago, she was diagnosed with brain cancer. Her parents, Prasad and Hymavati are in a state of shock. What followed was months of intense radiation and chemotherapy to cure her of cancer. Unfortunately, her cancer relapsed and now she’s in more pain than ever. Fragile and weak of body, the only way for her to survive now, is a bone marrow transplant. Four years ago, Varsha fell down while running in school and suffered a serious head injury. She was immediately rushed to the hospital when she underwent a surgery. But that was not all, the doctors had very bad news for her family. She had brain cancer and needed radiation and chemotherapy in order to stay alive. Helpless at this unforeseen situation, her parents made sure she underwent the necessary treatment. At the end of 4 months, her reports came out normal. Her parents were overjoyed at having saved their daughter from cancer. Only everything was not as it seemed to be. Varsha continued to frequently fall sick and complain of headaches, stomach and back pain. Sometimes the pain would be so intense that she couldn’t even get up to go to school. The fear of cancer coming back prompted her parents to take her for regular medical check-ups, but her reports always came back normal. In December, Varsha collapsed with intolerable pain and couldn’t get up on her own any more. Her panic-stricken parents rushed her to the doctor again, who suggested they do an MRI scan. To their absolute horror, her cancer had relapsed. It was back, worse than before. Varsha is always in pain. It gets so bad that she has to take a painkiller every 4 hours. If she skips even one tablet, she can’t even lie down because of pain. Sometimes her parents put the tablet in her mouth while she’s sleeping so she doesn’t wake up writhing in pain. 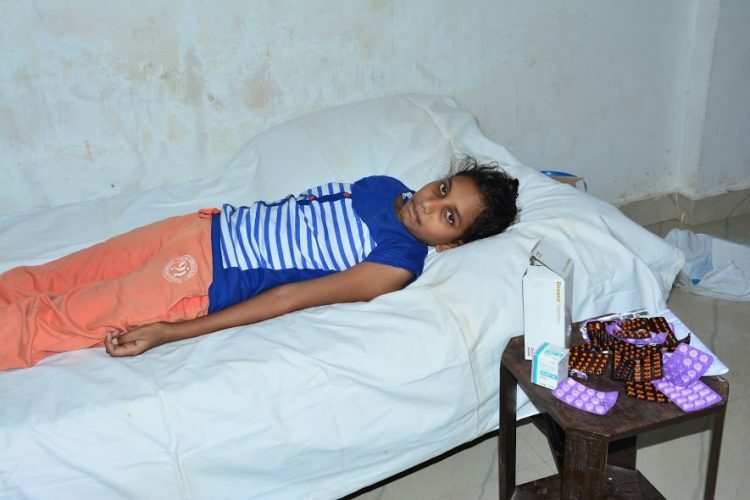 At the age of 13, when all the other kids are full of life, Varsha is confined to her bed, in pain. Her body is too weak to handle chemotherapy again. The doctors give her oral pills instead of intravenous chemotherapy. They are now waiting for her to get slightly better so that they can perform a bone-marrow transplant on her. 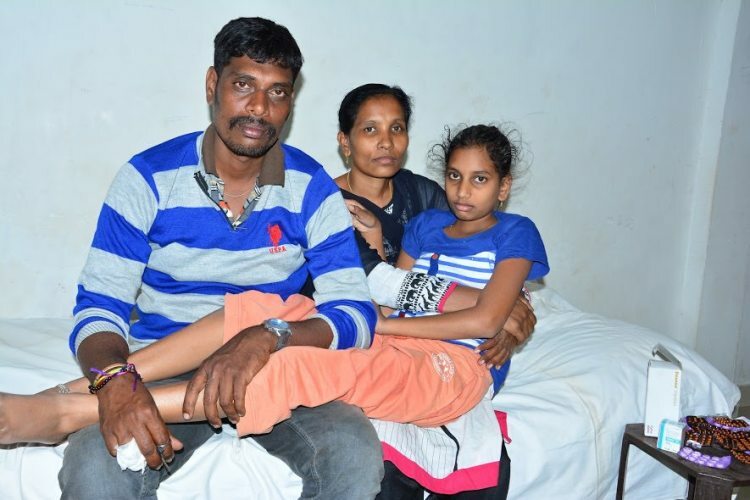 While her parents are trying their best to save their girl from this agony, they are unable to afford the expensive treatment on which her life depends. Varsha's father works as a daily-wage labourer and barely manages to provide his family with the bare necessities. 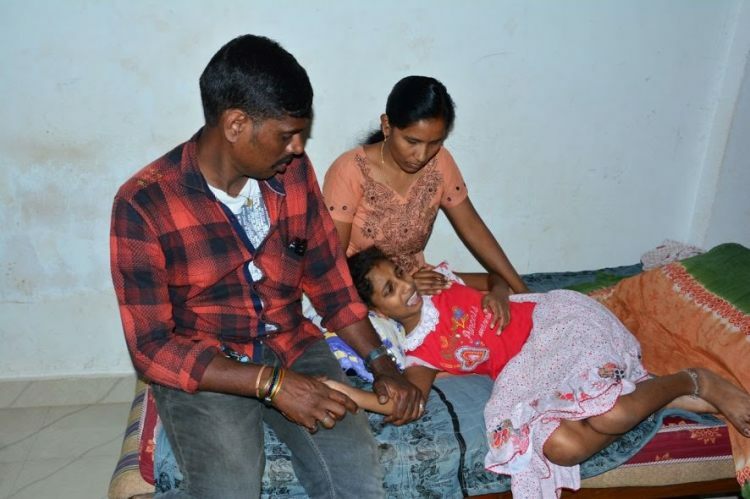 Due to Varsha’s condition, he can’t even go to work every day. When she fell sick the last time, her parents spent all their savings and took a heavy loan from relatives and friends to pay for treatment. This time, they don’t have anyone they can go to. They have taken loans from moneylenders but even those funds have run out and they don’t have anything for her treatment anymore. Without the surgery, Varsha doesn’t have very long to live. 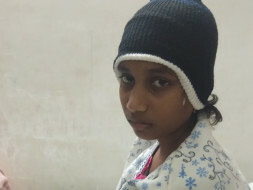 Prasad’s financial condition should not decide the future for this girl. To save Varsha, they desperately need your support, only your contribution can save her from the painful reality that is her life. Thank you for the wonderful support that you have shown towards Varsha. She is doing better now compared to earlier. She is undergoing chemotherapy and her response to the treatment has been positive. She has gained a little weight and is energetic now compared to earlier. 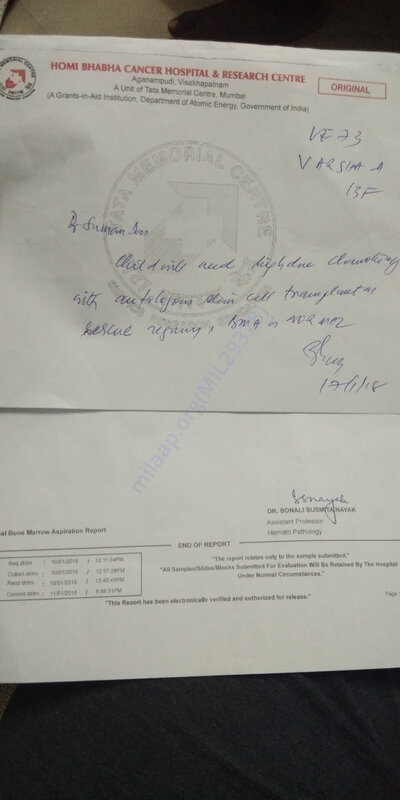 Based on doctors advise we will be admitting her again in the hospital and based on her health and the reports the doctors will be suggesting the future course of action. Once the doctor shares that with us, we will keep you updated on the same. Thank you all once again for the wonderful support. Do pray for her health and speedy recovery. Would request you to please share this campaign further to help us in raising funds faster towards Varsha's treatment. Will keep you posted. I'm happy to inform all of you that Varsha is now doing better. The operation is yet to be done. The doctors are hoping to go ahead with the operation within the next two months. We couldn't have done this without you. Please keep supporting us and praying for her. We shall keep you posted. Thank you again! Thank you for the support that you have shown towards Varsha. She is in a critical condition. 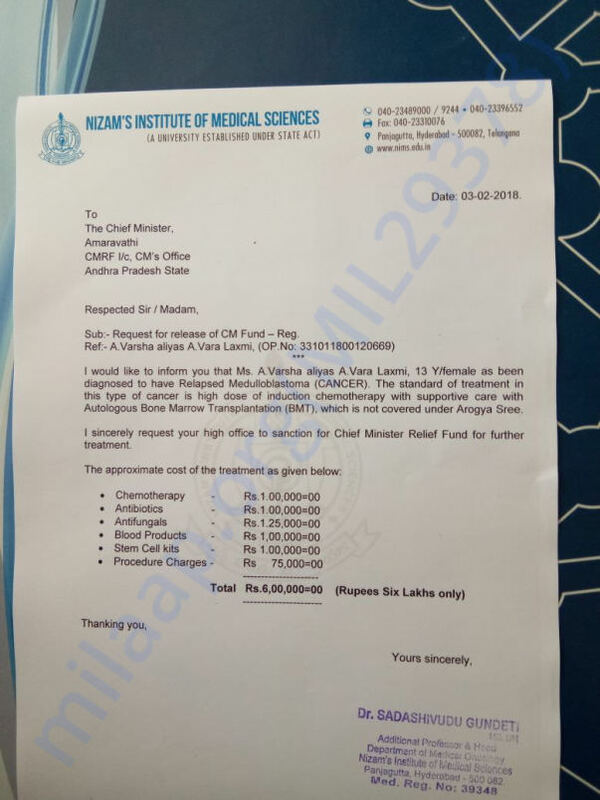 We have to admit her in Hyderabad Apollo hospital as soon as possible. Some local orphanage has promised that they will help her as much as possible. We have to do some tests to record morphology. The operation of the Bone marrow Aspirate transplantation has to be done. Thank you for the kind support. Please share this further with your friends and family to help us in raising funds for her treatment. Will keep you posted.